Not many ancient civilizations had as much style and elegance as the Roman Empire. 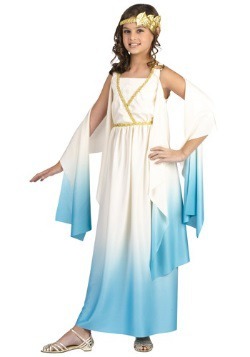 Togas, sashes, a little bit of gold here and there, who can argue with fashion like that? 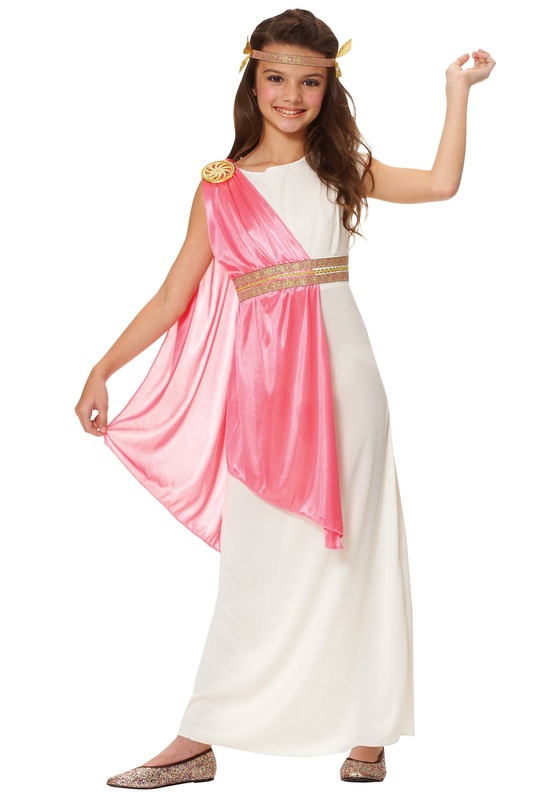 Make your little girl look like she walked right down from Palatine Hill to join your block for some Halloween festivities when you grab her this Ancient Roman Empress Costume. 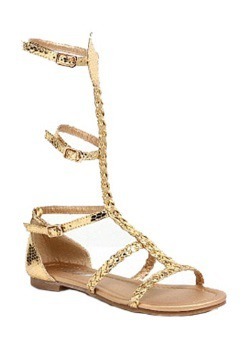 She’ll be more than ready to oversee the gladiators as they fight for her honor in the Colosseum. Of course, we’re sure she’d also be more than happy to do some trick or treating. After all, it’s important for an Empress to grace her royal subjects with her presence from time to time. 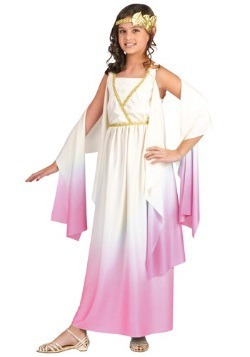 Help your kiddo become the Empress of Halloween this year with this royal outfit. She can teach all of your friends and neighbors about ancient Roman secrets like road building, aqueducts, and we’re sure there’s so much more! There have got to be… they did sort of help to make modern society what it is today. This cream sleeveless dress has Velcro tabs at the center of the back and the pretty pink drape is sewn in the right shoulder and the waistline. This elegant ensemble is decorated with a brocade ribbon waistband on the front. The included brocade ribbon headband is ornamented with gold fabric leaves and has an elastic band at the back to ensure a snug fit. Why Not Be a Goddess? 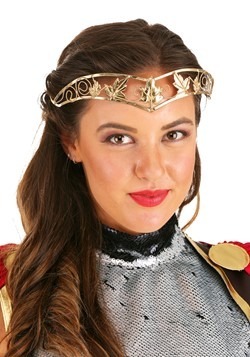 Rome may not have been built in a day but your little girl can transform into Roman royalty in no time at all with this Ancient Roman Empress Costume! Heck, with the right accessories, she can become one of the Roman gods like Minerva or Diana. All she needs is a golden glimmer. So be sure to take a look through our goddess-themed accessories.